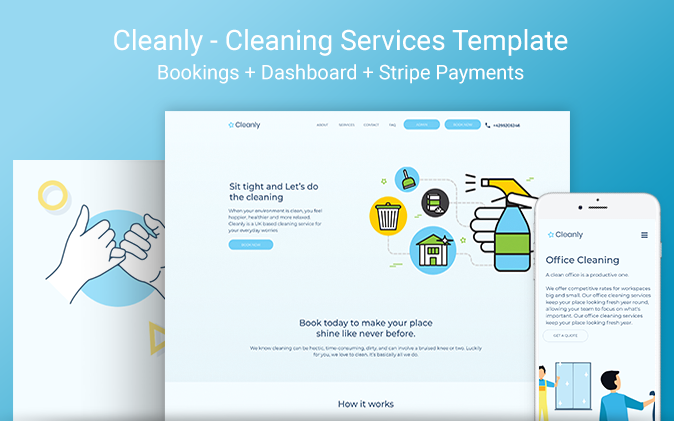 Cleanly is a fully functional and responsive template that will allow you run and automate your own cleaning services business. It has a cute modern look with unique illustrations and it features service booking functionality with online payments. Integration of Stripe payment to accept card payments from users for home cleaning bookings. Admin Dashboard to handle bookings, quotes, cleaner applications and contact messages made by customers.